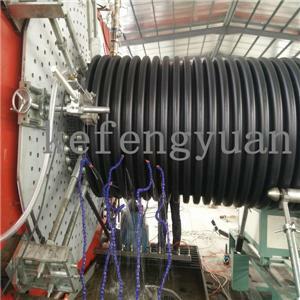 This machine can produce spiral sewage pipe that is similar with Krah and DWC pipe. 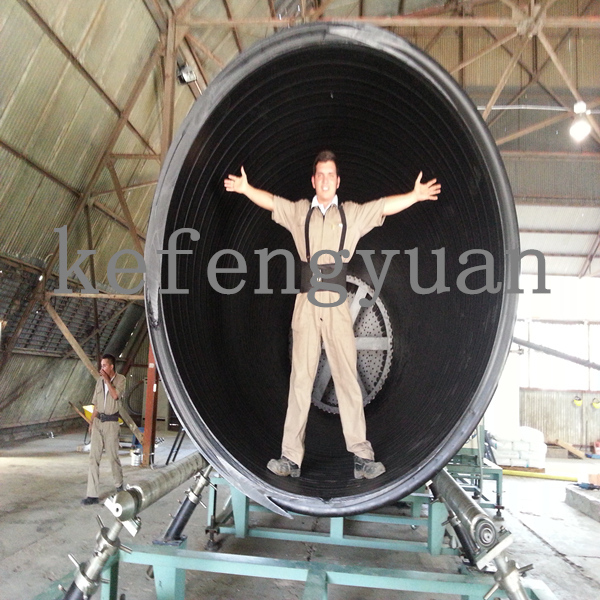 The pipe is featured with high SN, big diameter range, easy to construction. 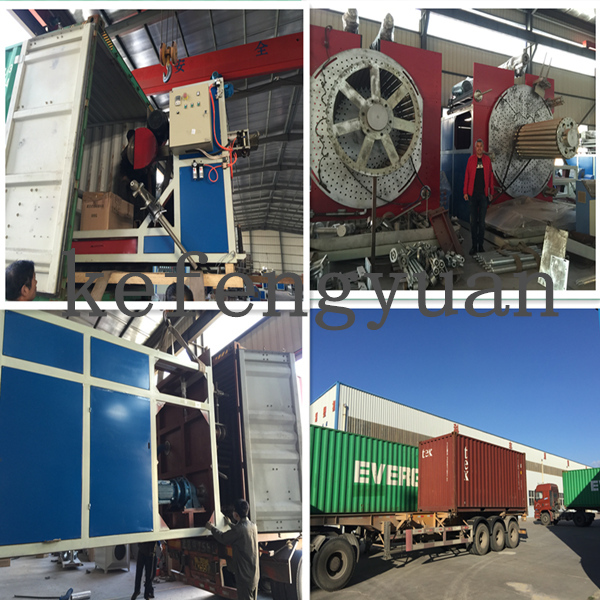 The Spiral type corrugated pipe machine is popular in China now and widely used to produce Hollow wall winding pipe, Krah, Insulation pipe also. 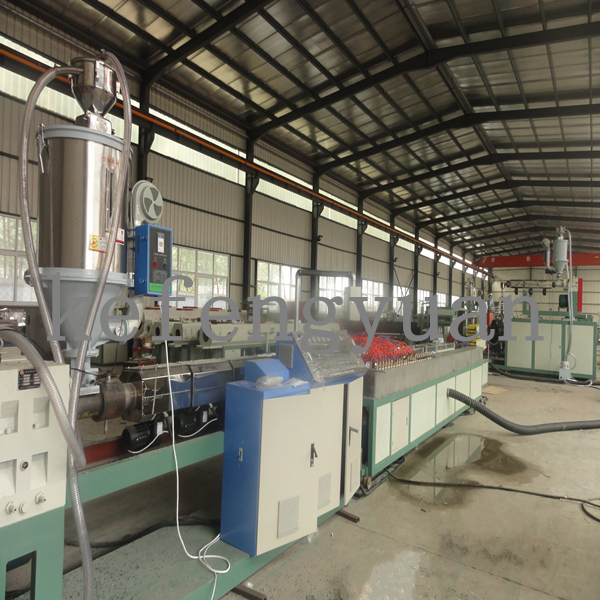 Forming Machine is used to winding the profile and forming the large diameter pipe. 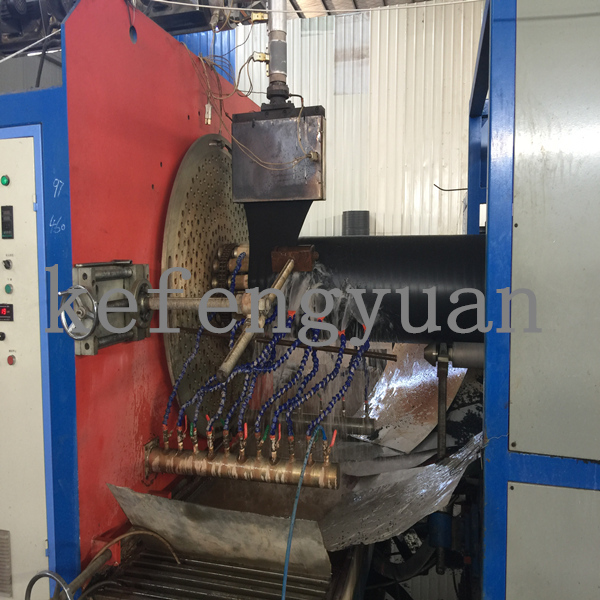 This forming machine can also be used to produce hdpe hollow wall winding pipe, Krah pipe, Solid wall winding pipe. 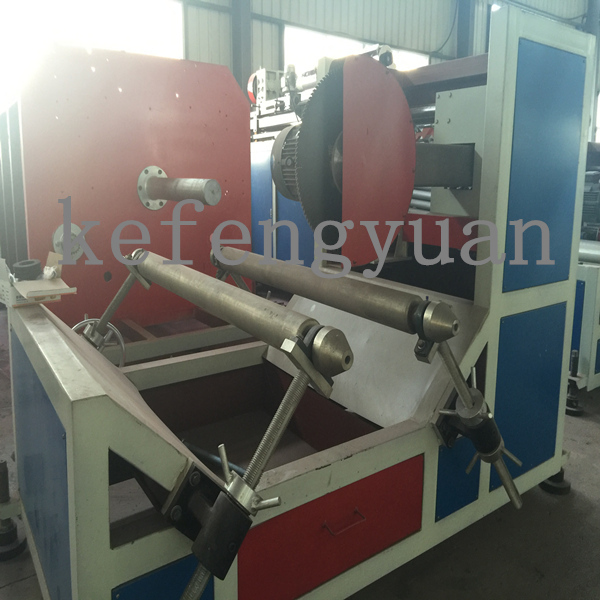 Cutting Machine: with high efficient and easy to operate. 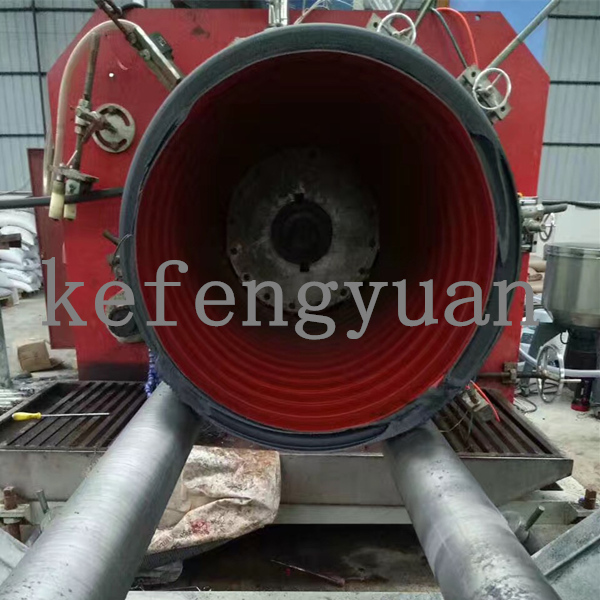 Two layers Spiral pipe can be produced by adding one set of extruder,and mould will be designed according two layers structure. 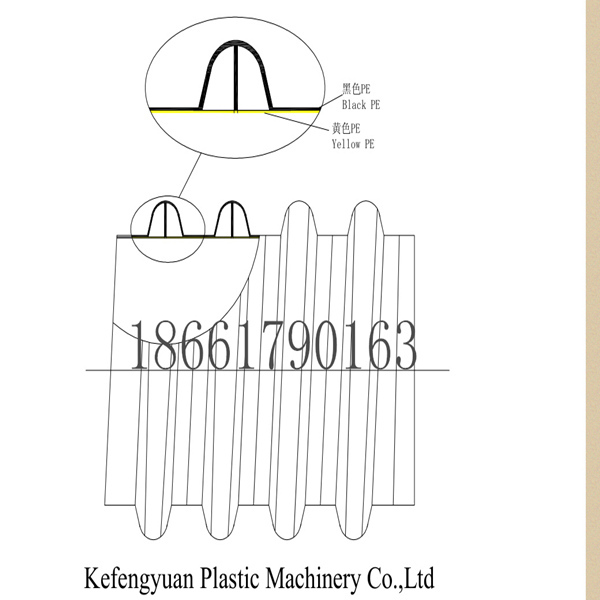 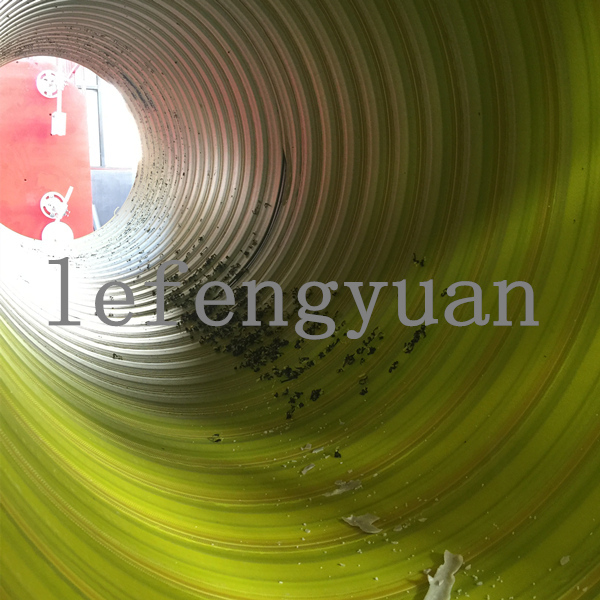 The spiral type corrugated pipe have special structure with rib inside which can gurantee high SN with good quality.